These guests represent the definition of a family band. 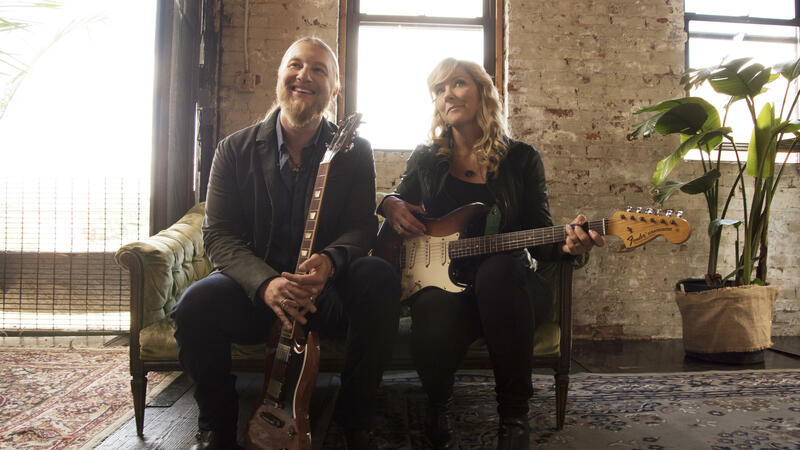 Susan Tedeschi and Derek Trucks formed Tedeschi Trucks Band after they got married and had kids. They curated this collective of some of the finest musicians around who have been living together on tour for long enough that they count as relatives. So does their bus driver, Bobby Bolton, who has driven the band over 1.3 million miles. Needless to say, family — where members are connected by birth or by choice and time — is important to Susan and Derek. And in the lead-up to making the group's latest album, Signs, Susan and Derek lost a few important family members. That includes mentors Leon Russell and Colonel Bruce Hampton. Derek was actually on stage with Col. Bruce when he collapsed and died. Derek also lost Gregg Allman and his uncle, Butch Trucks, drummer and founding member of The Allman Brothers Band. Derek had played with The Allman Brothers Band since 1999. Since we recorded this conversation, Tedeschi Trucks Band also lost their longtime keyboardist and flutist, Kofi Burbridge. I spoke to Derek and Susan about how processing loss shaped the band's new album from their recording studio, Swamp Raga, in their backyard in Florida, and the band performed live. Listen in the player.